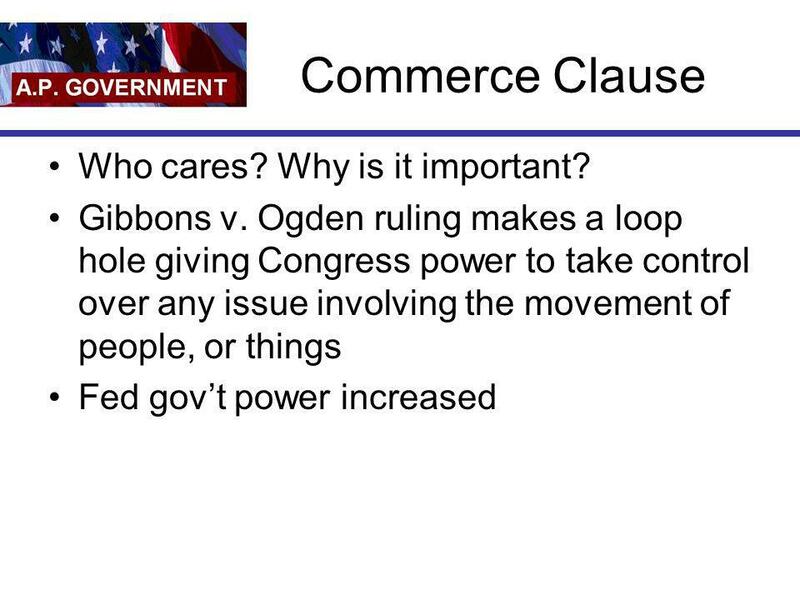 8 Commerce clause Art. I, Sec. 8, Cl. 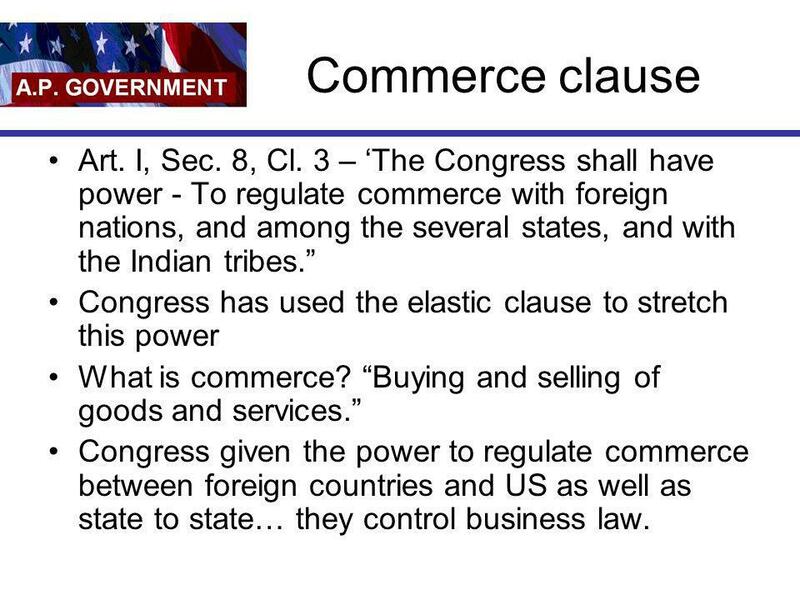 3 – ‘The Congress shall have power - To regulate commerce with foreign nations, and among the several states, and with the Indian tribes.” Congress has used the elastic clause to stretch this power What is commerce? “Buying and selling of goods and services.” Congress given the power to regulate commerce between foreign countries and US as well as state to state… they control business law. 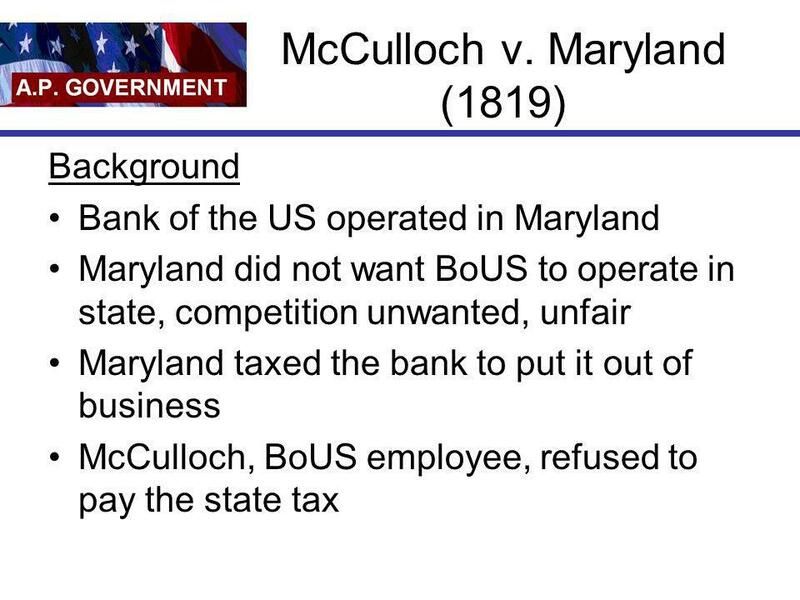 11 Commerce Clause Who cares? Why is it important? Q – How do you get the states to do things they normally wouldn’t do? A – Money Q – What is the answer to any question ever asked? 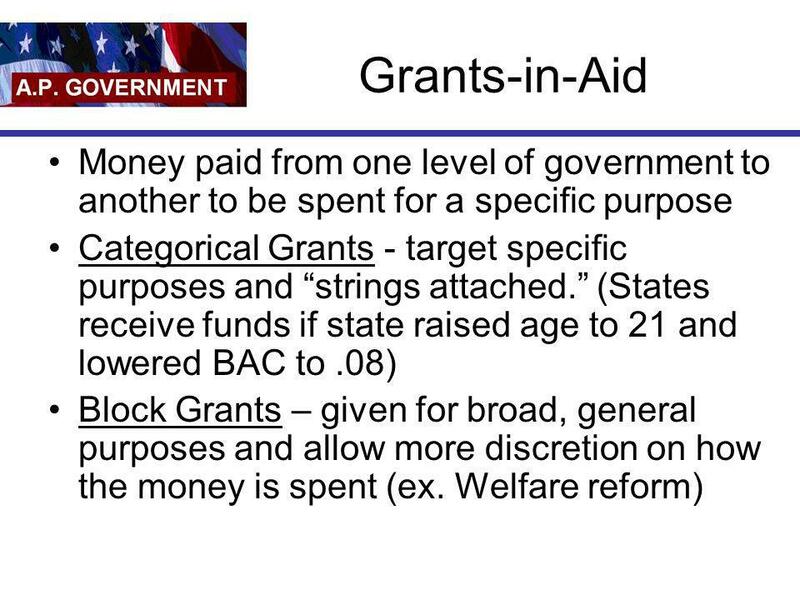 23 Which of the following is the best example of a categorical grant? 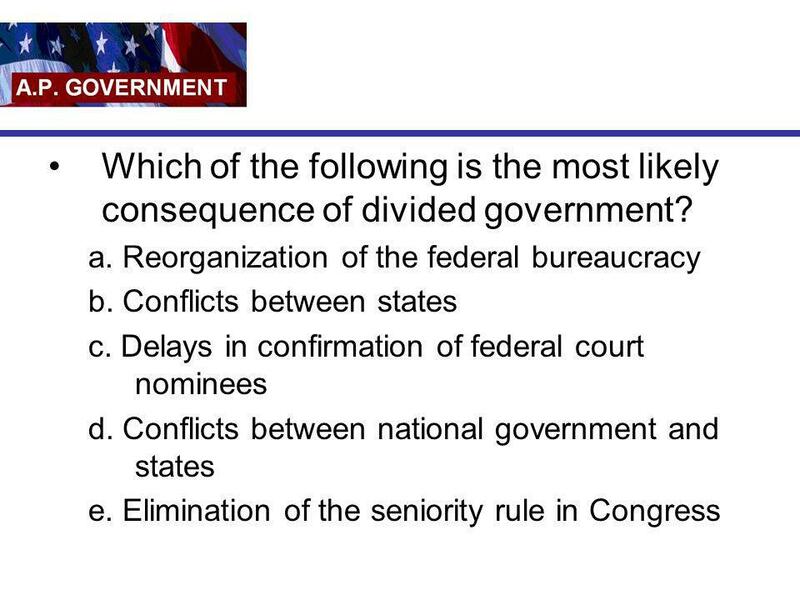 25 Which of the following is the most likely consequence of divided government? 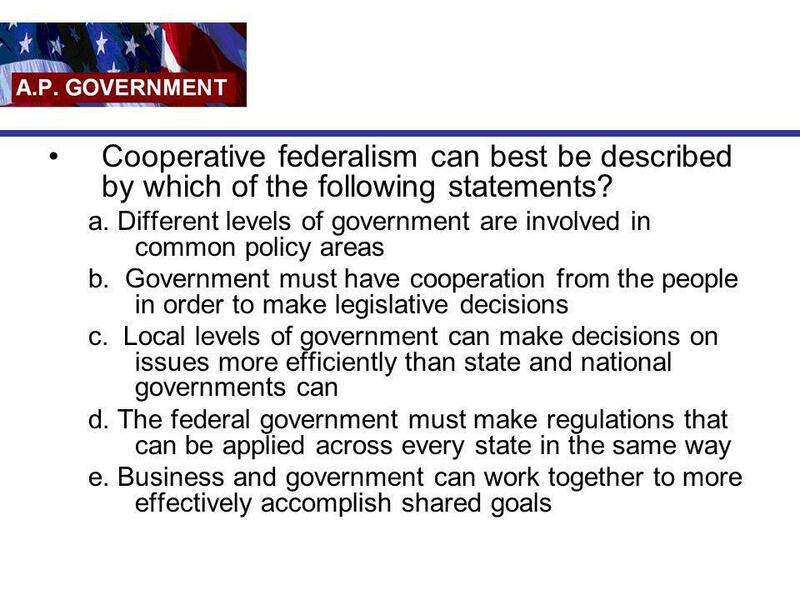 26 Cooperative federalism can best be described by which of the following statements? 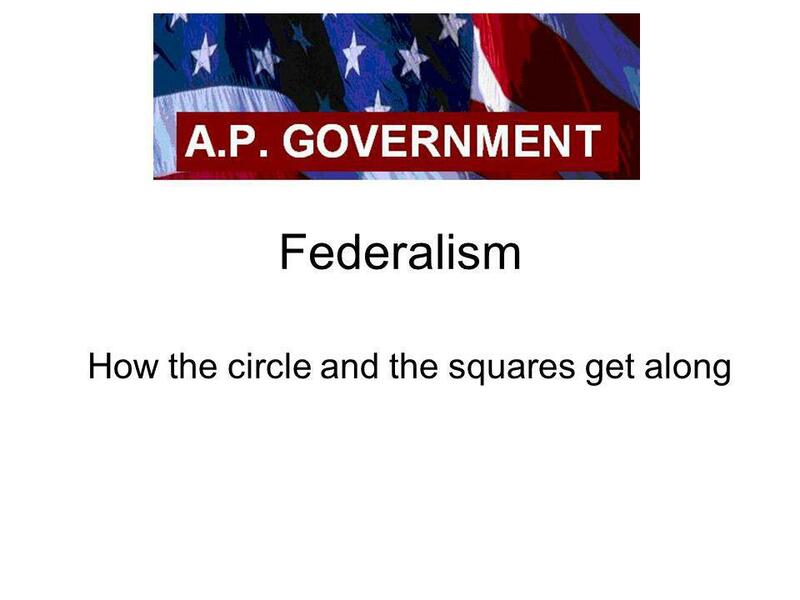 Download ppt "How the circle and the squares get along"
Federalism States into a Nation This presentation is the property of Dr. Kevin Parsneau for use by him and his current students. No other person may use. BULLSEYE VOCABULARY UNIT 1. Federalism Good Luck on your Test!!!!!!!!!! 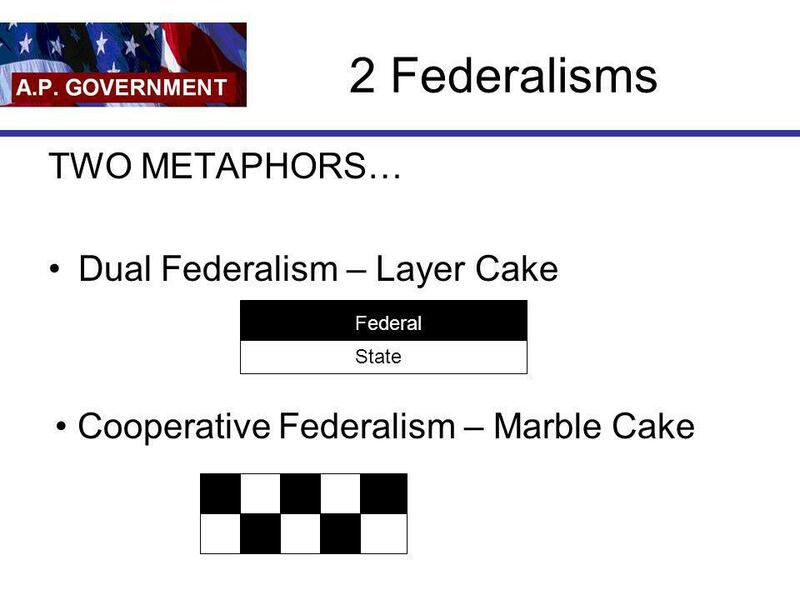 Federalism How the circle and the squares get along. How the circle and the squares get along. 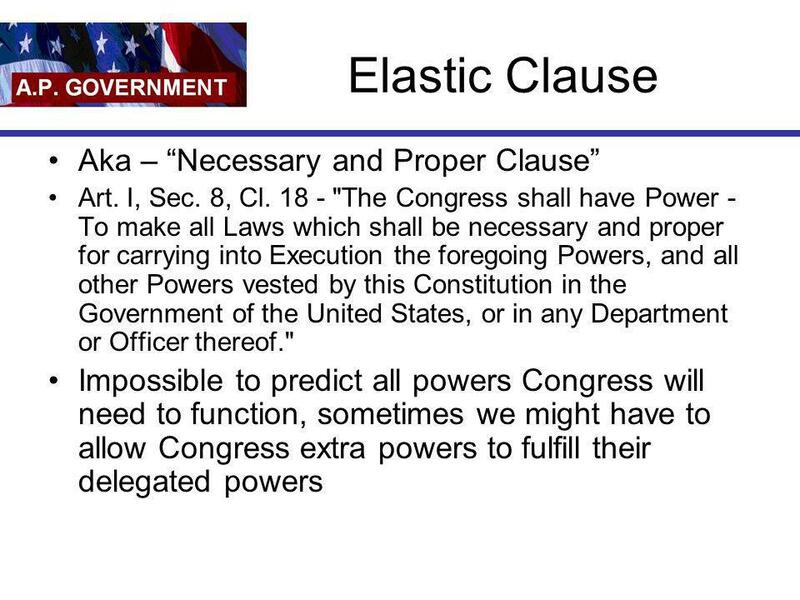 Federalism Federalist #51 Delegated powers Reserved powers Concurrent powers Prohibited powers Elastic clause. Copyright © 2009 Pearson Education, Inc. Publishing as Longman. 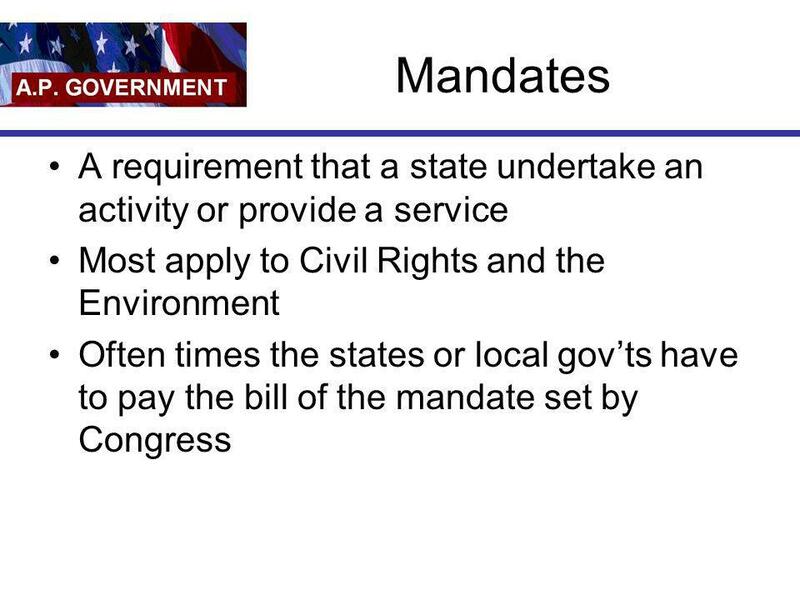 Federalism Chapter 3. 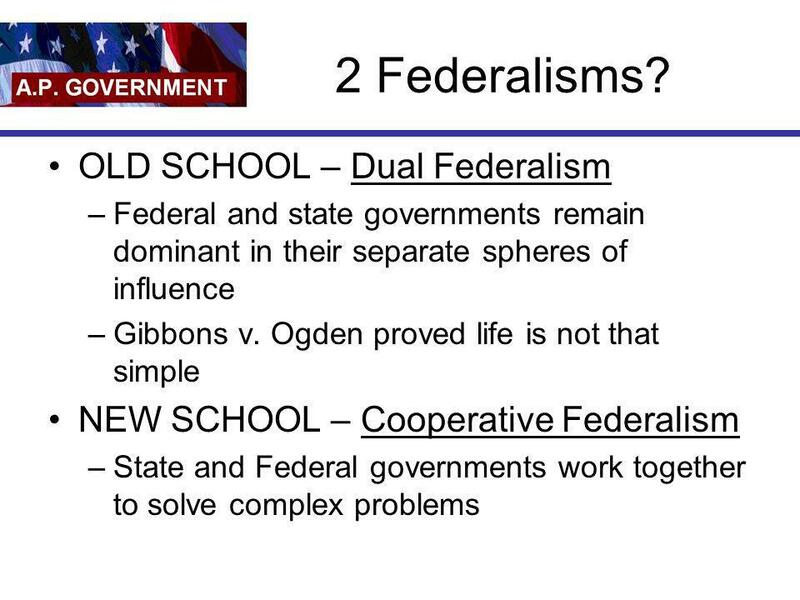 Federalism Continued/State and Local Politics. 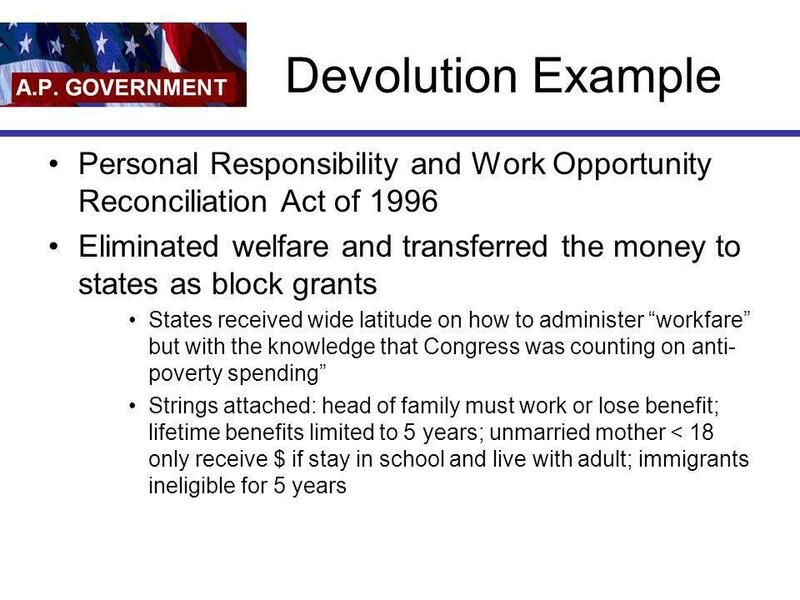 Recap Federalism Separation of Powers Checks and Balances Duties of three branches Threats to separation. 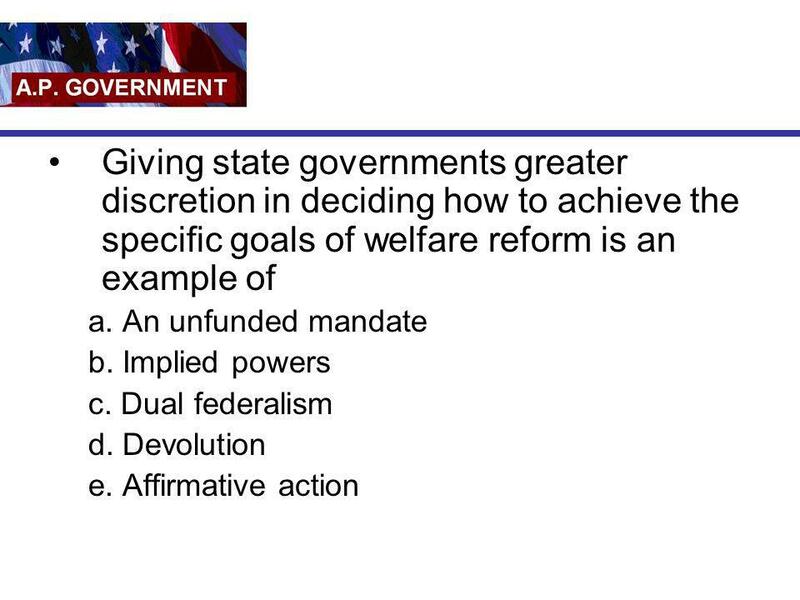 Chapter 3 Federalism. 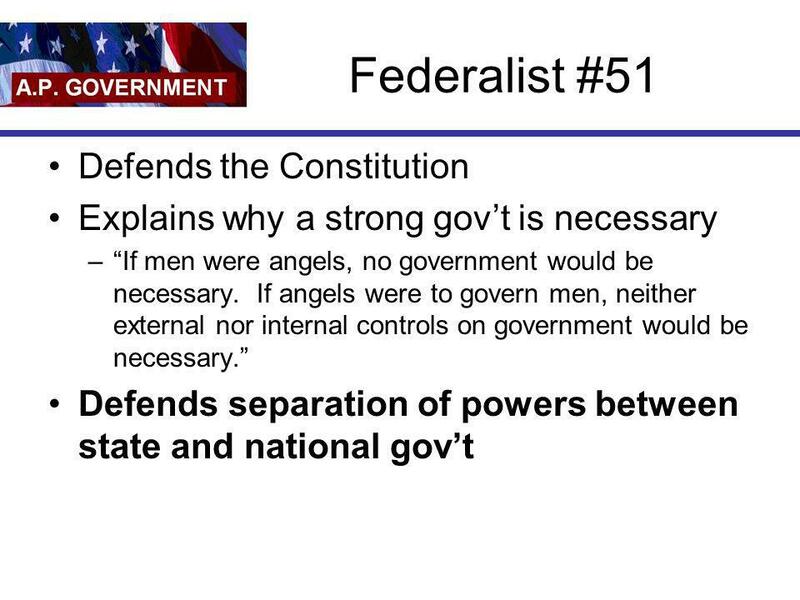 Federalism ★ The U.S. was the first country to adopt a federal system of government. 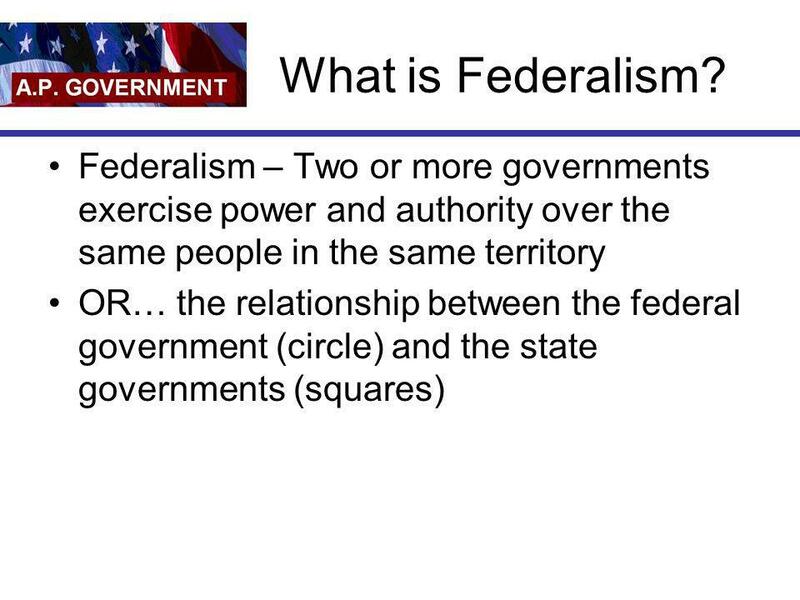 ★ Federalism - System of government where the. 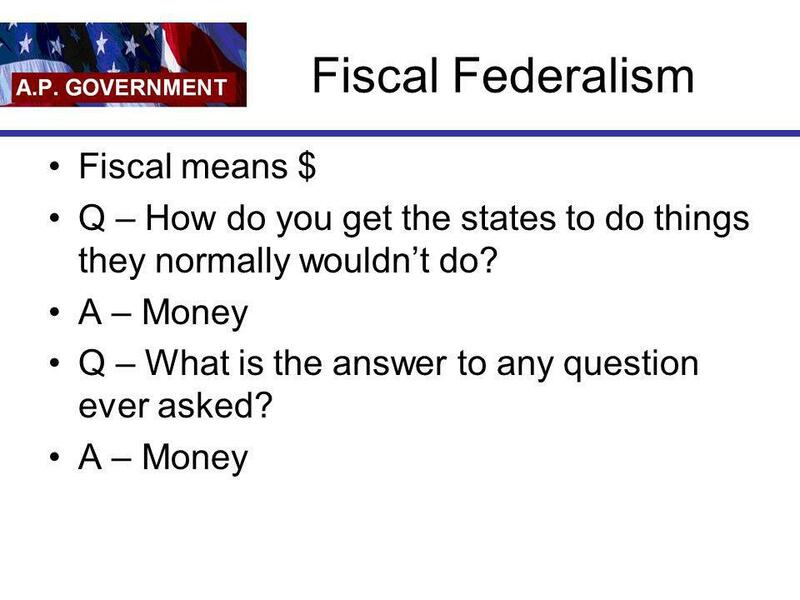 What is Federalism? 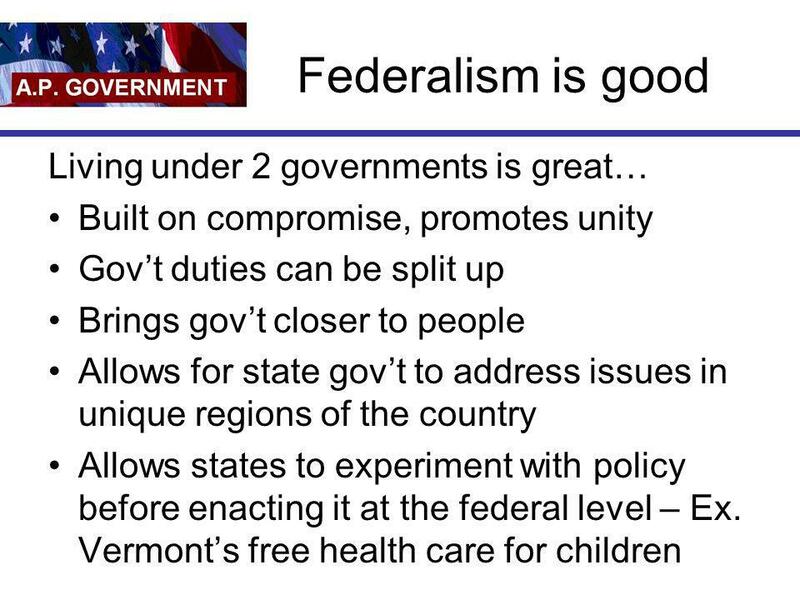 Federalism is where government power is divided and shared between the national government and the states. Constitution # The Shrinking 10 th Amendment. 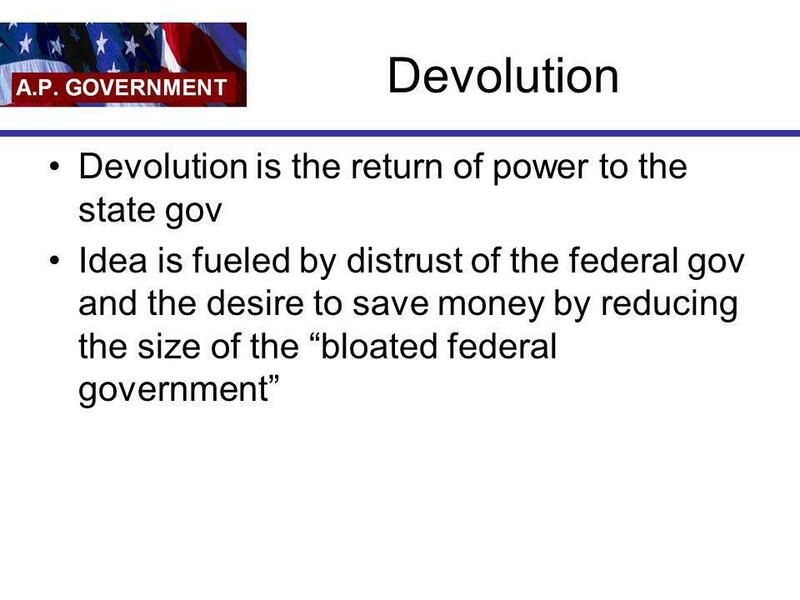 Quick Review 1.This type of government gives the majority of the power to the states. 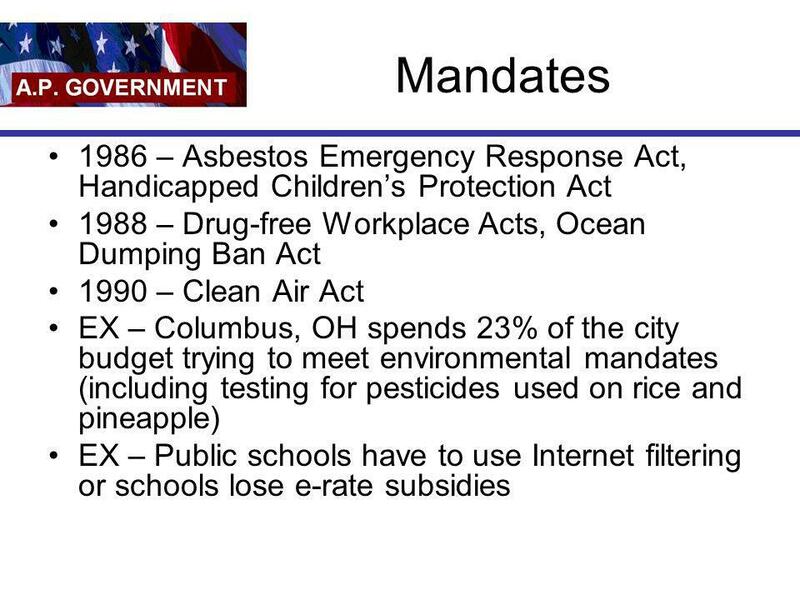 2.This type of government. 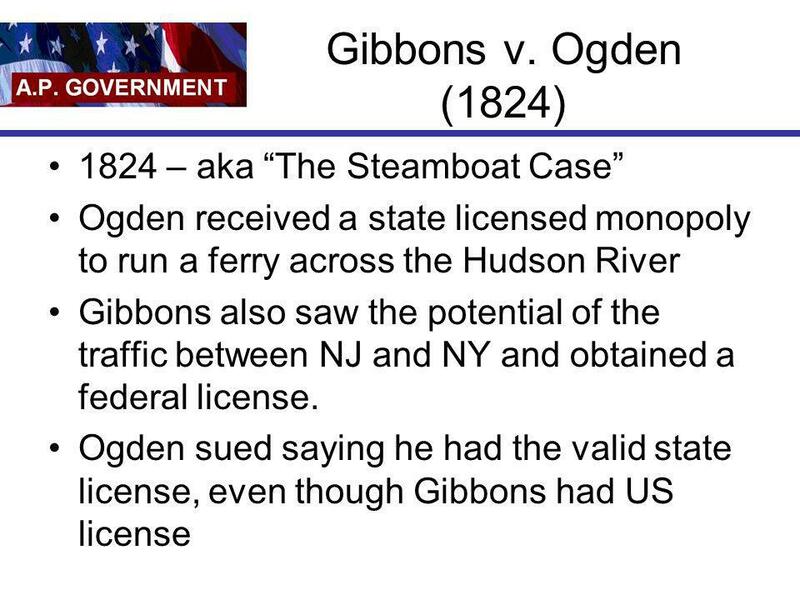 The Federal System National State v. State Powers. 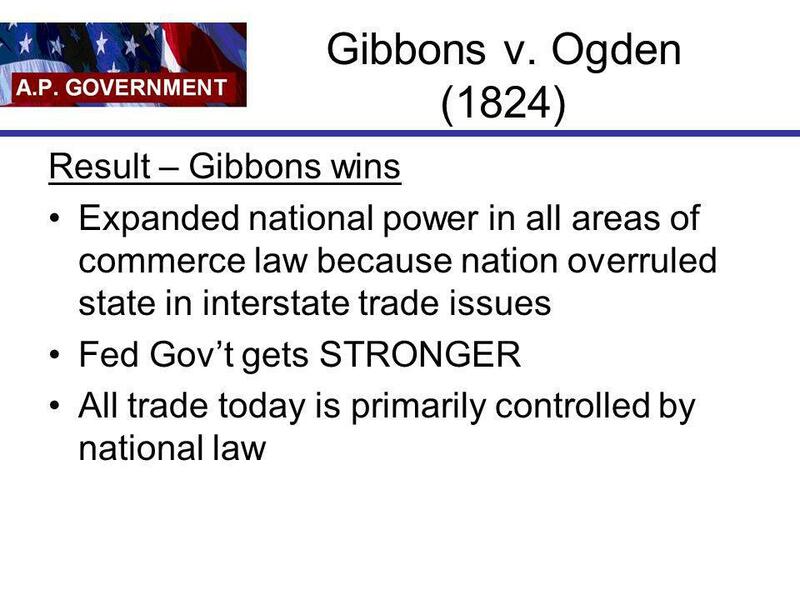 FEDERALISM Results of the Constitutional Convention. 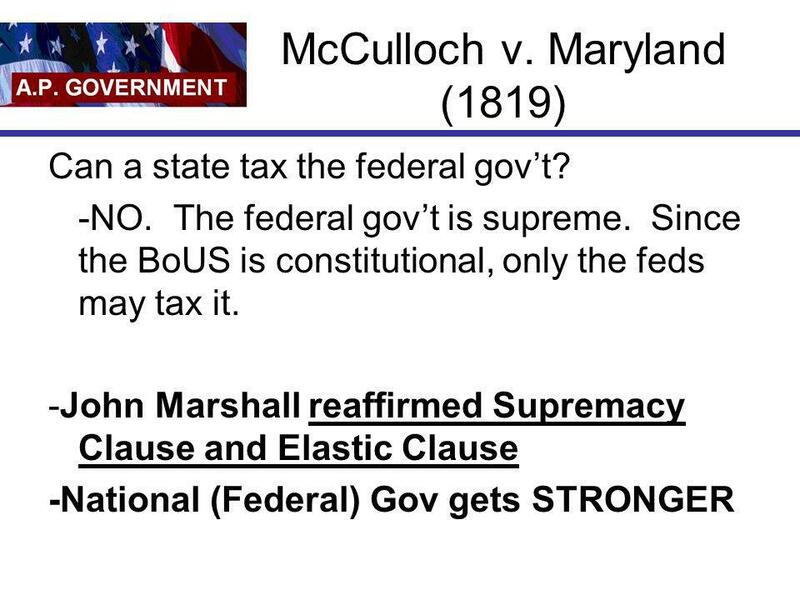 Federalism Chapter 3. Governmental Structure Federalism: a political system where local government units can make final decisions regarding some governmental. Federalism Definition: political system with local government units, besides national one that can make final decisions regarding some governmental activities. 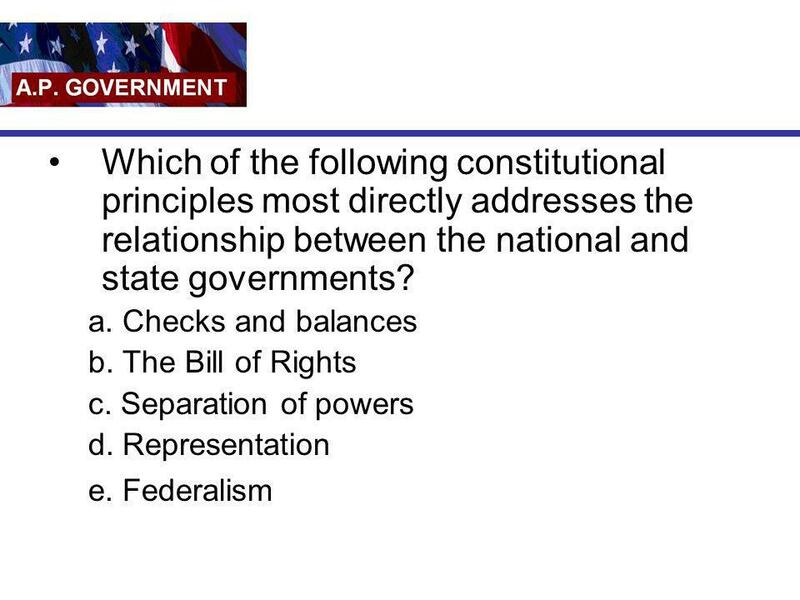 Federalism Chapter 3. Governmental Structure Federalism: a political system where national and state governments both govern the people Federalism: a. 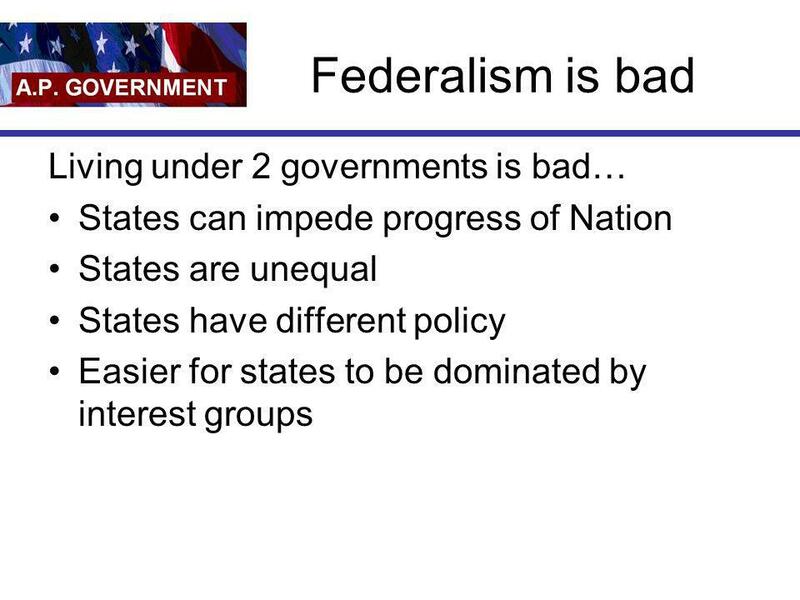 Federalism The relationship between the national and state governments. Evolution of Federalism?. 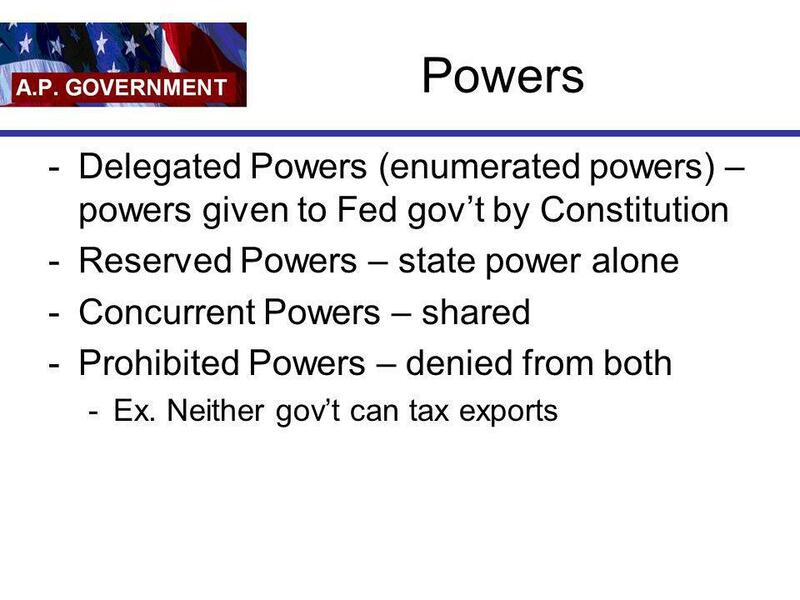 Learning Objectives: What four things have expanded federal power? Define the Full Faith and Credit Clause. Define the Privileges.